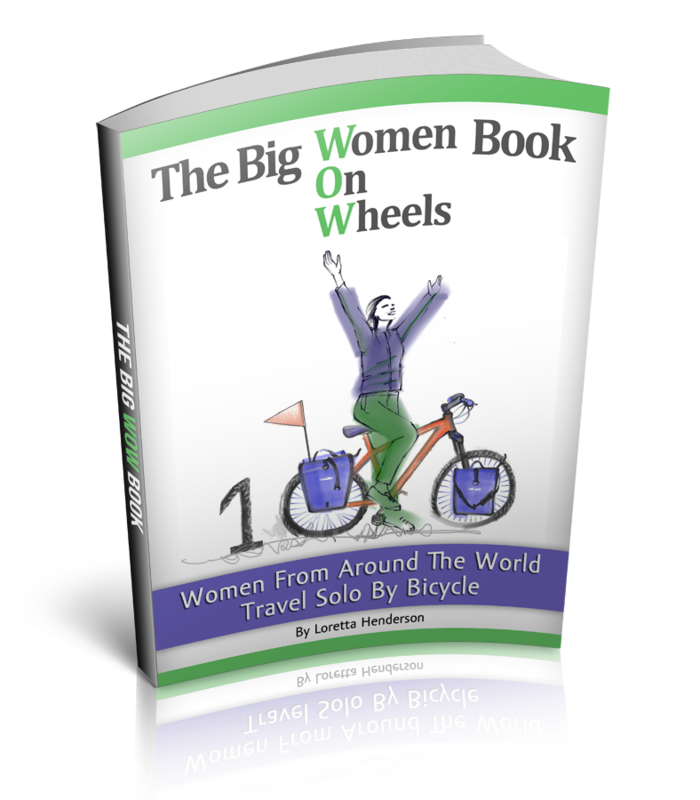 Some would say that there isn't a snowball's chance in hell that they would undertake a winter bicycle tour but for WOW(women on wheels) member Ellen Moseman sees it differently. Ellen, an English teacher living in China took time away from her preparations for her upcoming winter bicycle tour of central Asia and the Pamir Mountains to answer a few questions for us all about winter bicycle touring. Are you expecting snow? What kind of tires do you have? Ellen is expecting blizzards; she has equipped her Soma Saga bicycle with Schwalbe Black Shark folding MTB tires ordered from America and shipped to China. She will also be ready with a stick on board to clear out the snow and ice from between the tires and mudguards and a lightweight tarp to cover her bicycle from the harsh elements while camping. For gloves, she will wear a pair Pearl Uzumi with mittens over top, she wishes she had lobster claw gloves but they are too spendy so she is going with what she has got. For more tips on budgeting for your outdoor adventure see No Money, No Honey. How much money does a winter bicycle tour cost? On past tours throughout China, Ellen budget ranges about $120 USD a month. She is documenting nomads and religion through a photography project. 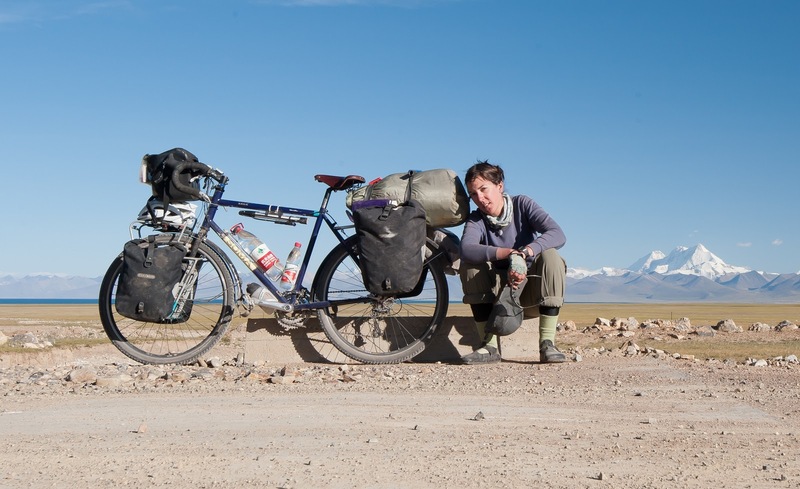 As a solo female bicycle tourist she is often invited to camp with local families. Emily’s photography work can be found on her excellent website, 2wheels4girls.com. At $4USD a day, with her camera and keen eye for beauty Ellen hopes to be on the road for about 6 months concentrating on the nomadic areas of Kazakhstan. Girly Girl Gear For Guys Too, What items did you add to the panniers, specifically for winter bicycle touring? What does this winter adventurer dream of doing next? Ellen has heard rumors that sometimes the NW passage freezes over enough that you could pedal across the frozen ice but she did mention to not tell her fiancé. Number 5. Road Side Bombs For some road side bombs and the Taliban is what is conjured when one thinks about Pakistan as a must see bicycle touring location. However, as the media drops bombs of bad news about Pakistan you can be content to know that you are part of a brave posey of bicycle tourists. Travelers, shielded by the adventurous spirit are rewarded with a hospitality that will quickly detonate any misconceptions the media has fired up about the place. My Rohloff, my German internal gear hub system, love of my life, I take thee for better or for worst, in sickness and in health until death do we part, my friend, my companion and love of my life. I lawfully wed thee in front of the cycling community… You may now kiss your hubby Rohloff. 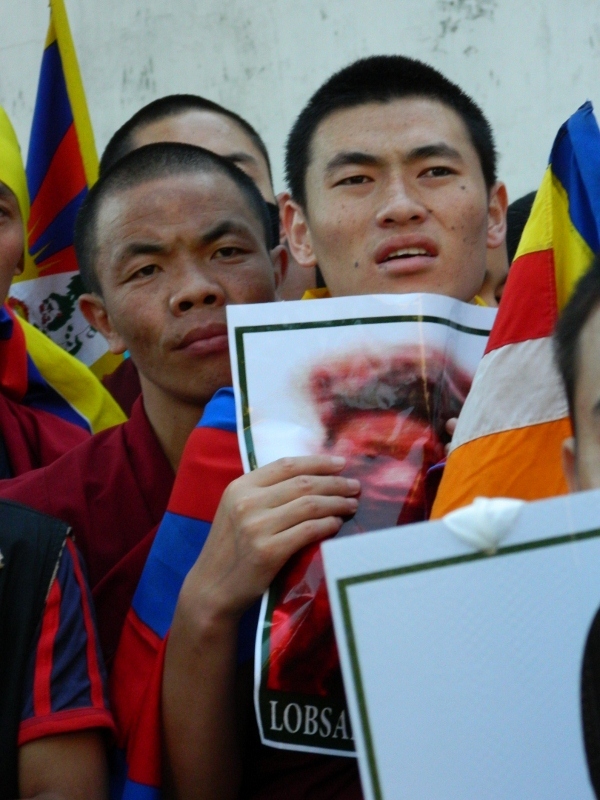 “We want freedom, we want justice, long like the Dali Llama, we want freedom, no more repression….”. The echo is powerful; the women’s voice is horse from shouting from the heart, a place that only someone who truly knows can find.